OpenStack: Let's Make the Next 25 Years of Computing Open! OpenStack has become the fastest growing opensource project in history and is the largest open source cloud community in the world. All of OpenStack's modular components were designed to be open from the ground up and design decisions were made based on open discussions, reviews and technical meritocracy to reach the best outcome. Join OpenStack co-founder, Chris C. Kemp for a discussion about the future of the platform, the philosophy behind the framework and how it's set to grow in the future. 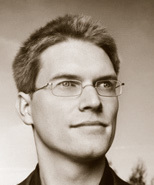 Chris C. Kemp is the co-founder and CEO of Nebula. Prior to Nebula, Kemp was the Chief Technology Officer for IT at NASA, where he co-founded OpenStack. Kemp has also served on the White House Cloud Computing Executive Steering Committee, and was the chair of the Cloud Standards Working Group. Founder of several start-ups, Kemp is an acknowledged technology leader and has been named a top CIO by CIO Magazine and was most recently recognized as the number one leader in cloud computing for 2012 by TechTarget.